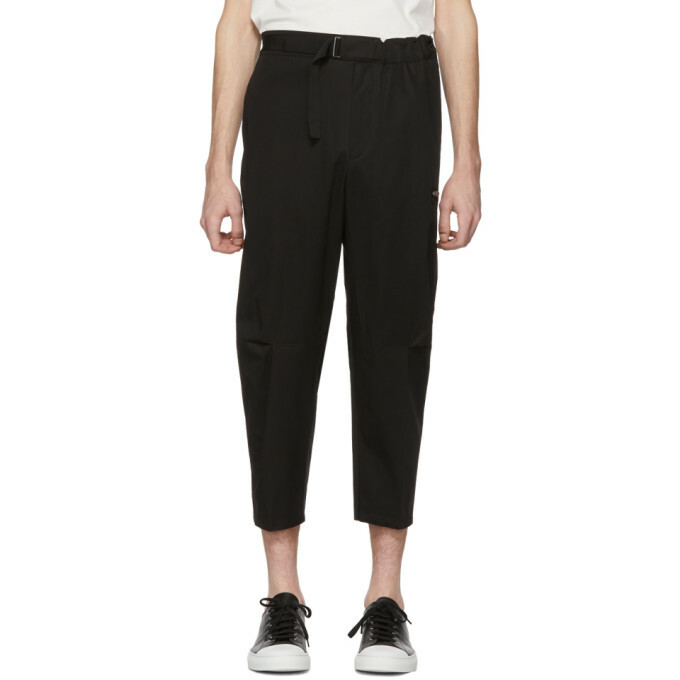 Slim-fit cotton trousers in black. High-rise. Four-pocket styling. Integrated cinch-belt at waistband. Cropped leg. Gunmetal-tone hardware. Tonal stitching. 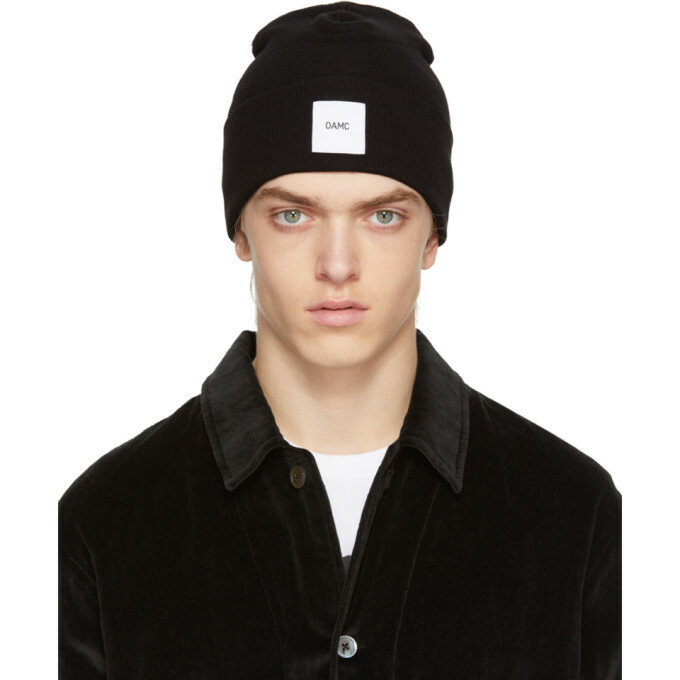 Rib knit cotton beanie in black. White logo patch at rolled brim. Tonal stitching. 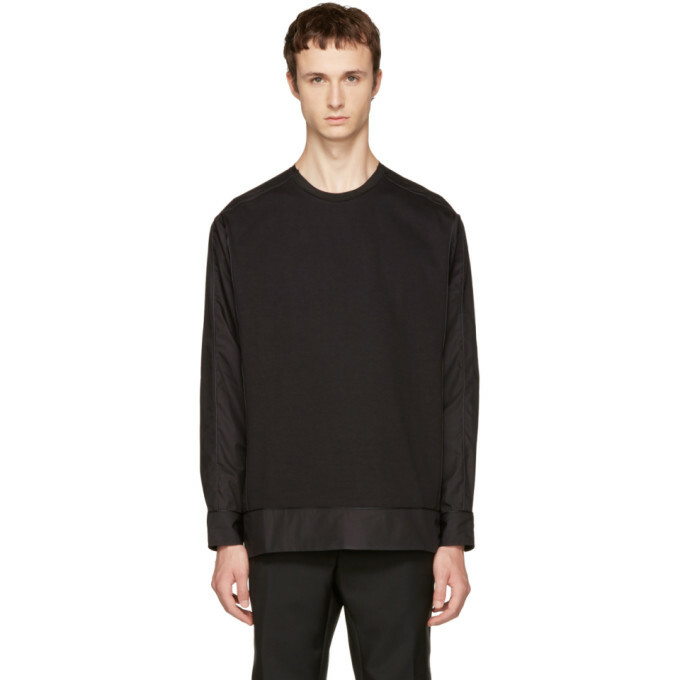 Long sleeve cotton poplin and jersey sweater in black. Rib knit crewneck collar. Single-button barrel cuffs. Signature plaque at back. Silver-tone hardware. Tonal stitching. 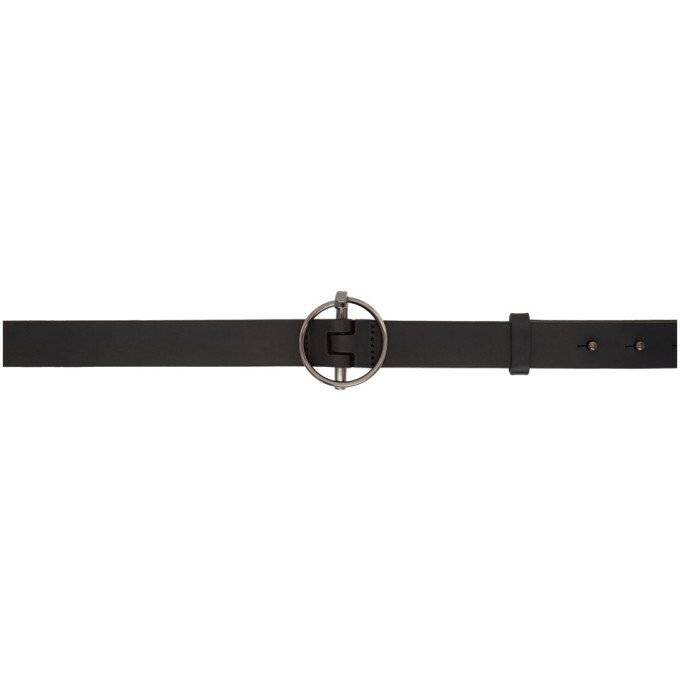 "Grained leather belt in black. Gunmetal-tone hardware at face. Post-stud fastening. Tonal stitching. Approx. 1"" width." 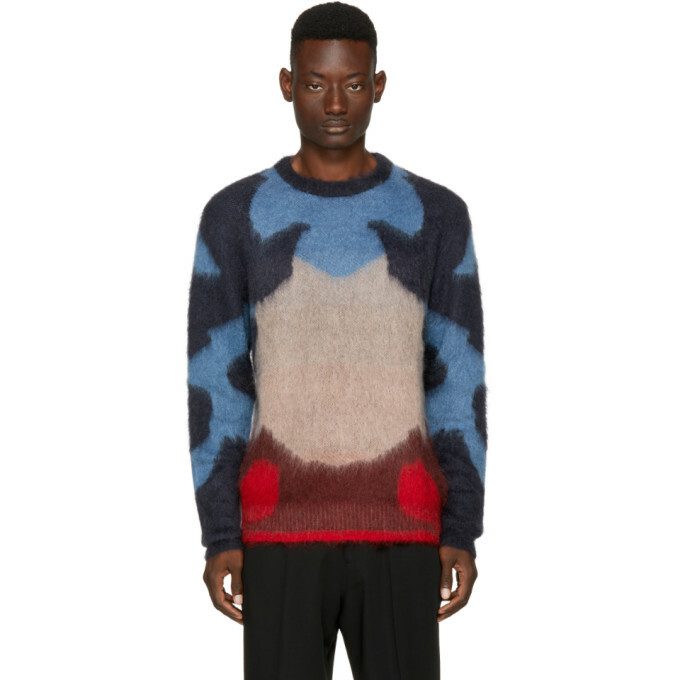 Long sleeve knit mohair and wool-blend sweater colorblocked in tones of blue, grey, and red. Crewneck collar. Tonal stitching. 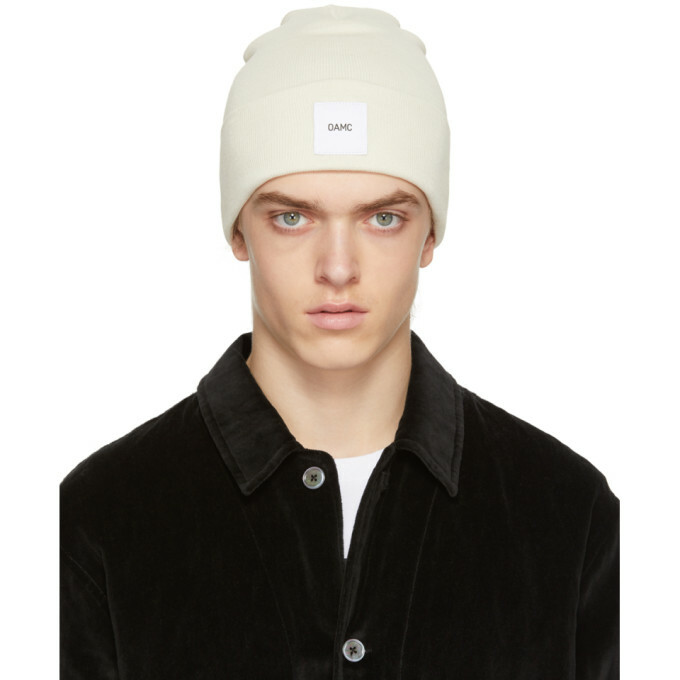 Rib knit cotton beanie in off-white. White logo patch at rolled brim. Tonal stitching. 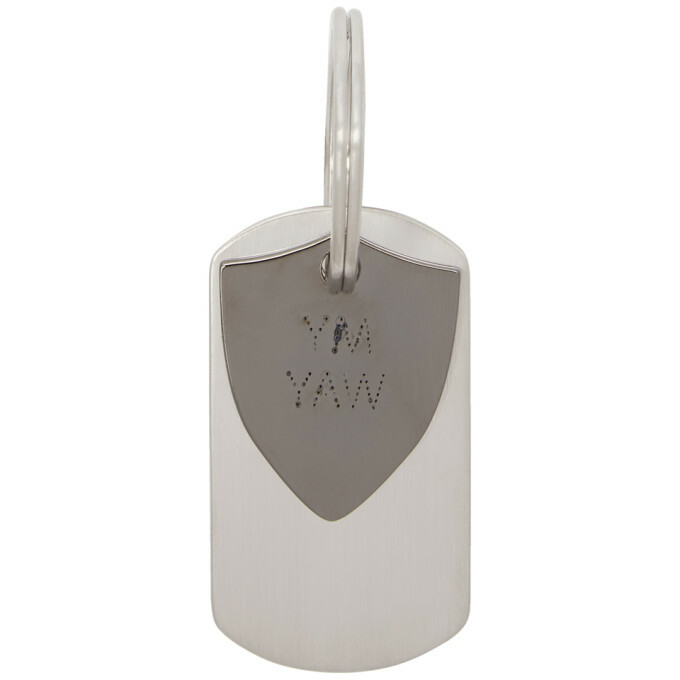 "Multi-pendant keychain in 'palladium' and 'ruthenium' silver-tone. Punctuated text and engraved logo at face. Spring ring fastening. Approx. 1.25"" length x 2"" height." 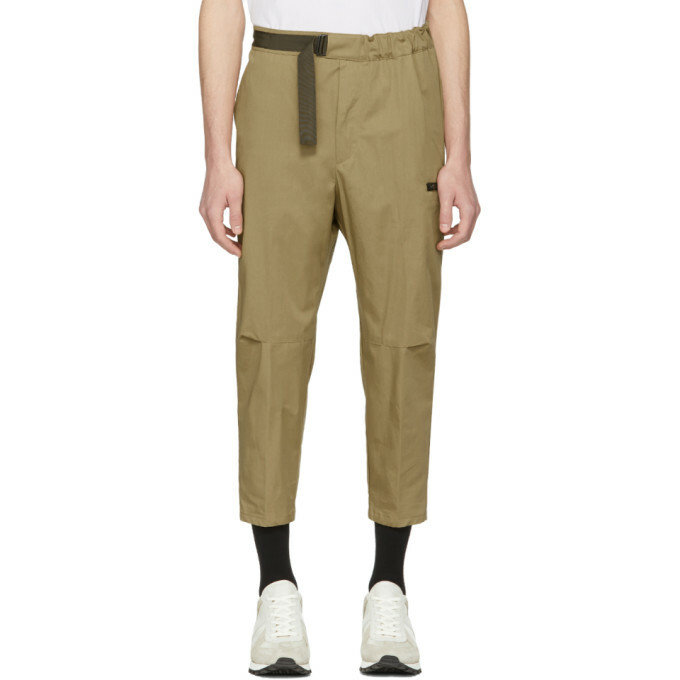 Slim-fit cropped cotton trousers in tan. Khaki grosgrain trim throughout. Low-rise. Cinch belt at partially elasticized waistband. Three-pocket styling. Zip-fly. Gunmetal-tone hardware. Tonal stitching. 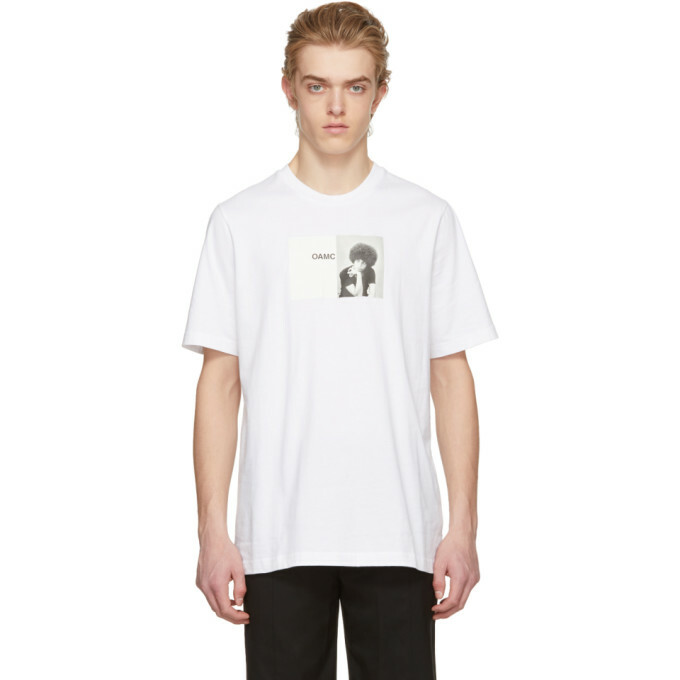 Short sleeve cotton jersey t-shirt in white. Rib knit crewneck collar. Logo and graphic printed at chest. Tonal stitching. 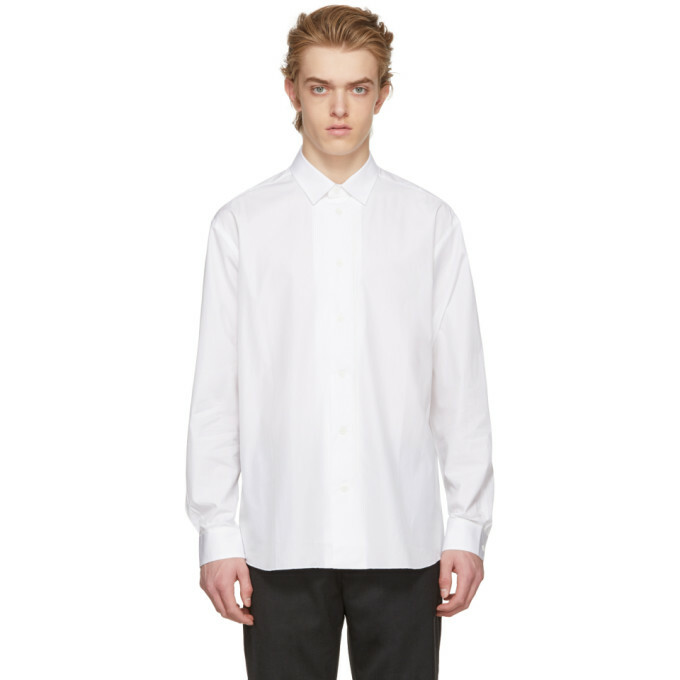 Long sleeve cotton poplin shirt in white. Exposed seams throughout. Spread collar. Button closure at front. Single-button barrel cuffs. Shirttail hem. Tonal stitching.